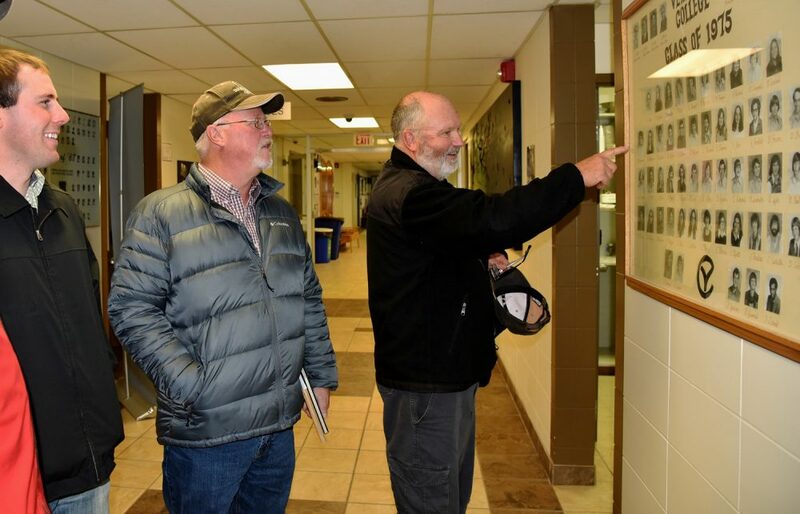 When DUC Alberta's newest conservation program specialists began, it was a reunion of kindred spirits—all of whom shared the experience of attending Lakeland College. When DUC’s newest Alberta conservation program specialists came onboard, it was almost like a reunion of kindred spirits – all of whom share a common experience of their college days at Lakeland and now, in the workforce. Angus Bryan and Codie lee Yasienuk, both based out of DUC’s Camrose office, graduated from Lakeland College in 2015 and 2016 respectively. Angus takes over from long-time DUC staffer Robbin Hunka who graduated from Lakeland in 1976. Both Angus and Codie lee are also now colleagues of another seasoned Lakeland alum Andy Van Imshoot who graduated in 1977. The common thread that ties this group is strong. All four DUC staffers are graduates of Lakeland College’s School of Environmental Sciences at the Vermilion campus. Their education, hands-on experience and knowledge of the agricultural and environmental sectors make them a great fit for a conservation organization like DUC that works closely with farmers and other groups on the landscape. In addition to hiring graduates, DUC supports Alberta’s post-secondary institutions in other ways. For example with Lakeland, DUC has staff serving on its program advisory committees. This gives employers an opportunity to provide input in regards to industry needs, relevance of curriculum, job readiness of graduates, etc. Other DUC staff have also worked with students on the college’s Student-Managed Farm – Powered by New Holland, specifically, with winter wheat. 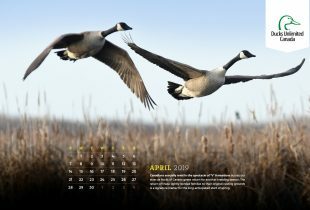 At Lethbridge College, DUC sponsors an award for an environmental sciences student and provides support to a student-led volunteer DUC chapter that actively organizes and hosts activities that support DUC’s waterfowl habitat conservation mission. At Olds College, DUC has partnered to offer continuing education workshops to various stakeholders about wetlands; and at Portage College, a newly formed student chapter hosts an annual fundraising dinner to raise funds for conservation. All of it works to educate and support the development of more people who will have a role in wetland habitat conservation management. 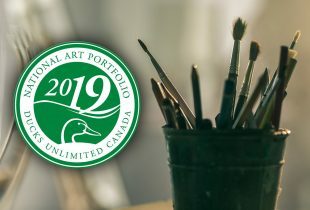 The 2019 National Art Portfolio is a collection of memorable moments that highlight the importance of Canada’s natural environment to our Canadian lifestyles.